If you cannot find the answer to your question here, our helpline staff are available to assist during office hours, Monday to Friday. What figure should I give for rebuilding costs? The amount that you enter for buildings cover should be an estimate of the cost of rebuilding in the event of a total loss such as a fire. This should include all building costs including outbuildings and perimeter walls plus site clearance and professional fees. If you have a mortgage, your mortgage company should be able to tell you the appropriate figure based on their initial survey and allowing for inflation. Alternatively, you can obtain an estimate using the BCIS House Rebuilding Cost Calculator. You will need to calculate the area of each floor of the property using the external dimensions (in feet or metres) then add the floor areas together to give the total. IMPORTANT: If the sum insured does not adequately cover the full reinstatement cost of your home, this may invalidate your policy or reduce claims settlements. For example, if you insure your buildings for £100,000 but the actual rebuilding cost would be £200,000, you have under-insured by 50%. Any future claim settlement could potentially therefore be reduced by 50% and you would have to fund the shortfall yourself. How do I calculate the value of my contents? You should specify a figure that will adequately cover the cost of replacing all your belongings within the property, including electrical equipment, appliances, soft furnishings, carpets, curtains, clothing, jewellery and any other items of value. It is vitally important that your chosen sum insured is adequate to compensate you for the full reinstatement/replacement cost of your property's contents, in the event of a total loss. For example, if you choose a Contents sum insured of £15,000 but the actual replacement/reinstatement value was £30,000, then you have under-insured by 50%. Therefore, any future claim settlement could potentially be reduced by 50%. What is meant by New for Old? New for Old means that the insurer will replace the item you're claiming for with a brand new one of equivalent specification and where possible, the same make. This applies to all contents claims apart from when you're claiming for clothing or household linen where we make a deduction for wear and tear. Valuables are defined as Jewellery, precious stones, articles made from gold, silver and other precious metals, clocks, watches, furs, guns, photographic equipment, musical instruments, collectors’ items pictures and other works of art, rare and unusual figurines and ornaments and antiques. Cover for unspecified valuables within the home is included for up to 25% of the Unspecified Contents sum insured. Personal possesions are items such as jewellery, clothing, baggage, cameras, musical instruments and sports equipment that belongs to you and that you wear or carry outside the home. The single article limit for unspecified personal belongings is £2,500 and any single item over this value will only be insured if listed in your schedule. You will be able to enter these items yourself when buying your policy online. If you wish to include cover for personal belongings, the sum insured that you choose should be the total replacement/reinstatement value of items to be covered.. We provide worldwide cover for personal belongings. Are my laptops and mobile phones covered? Cover for specified laptops and mobile phones can be added if required. 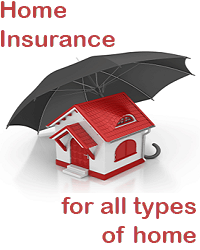 The sum insured you choose should be the total replacement value of the items to be covered. On most policies, Laptops and mobile phones are not covered unless individually specified. Yes, payment can be made as ten monthly instalments by direct debit (subject to a finance charge) or a single payment by debit or credit card. Once we have received your payment, we will send out your policy in the post within three to five working days. Providing there has been no claim, you have the right to cancel the policy within 14 days of receiving your policy documents with a full refund. After the expiry of the statutory cooling off period, your policy will continue as a contract for twelve months. If your insurance is cancelled for any reason after the first 14 days, a pro-rata refund will be made to you, net of our setup costs of around £42.00. Optional add-on policies such as Legal Expenses and Home Emergency Cover are non-refundable after the first 14 days. There will be no return of premium if a claim has been made during the current year of insurance. If you pay by instalments, please refer to your credit agreement.